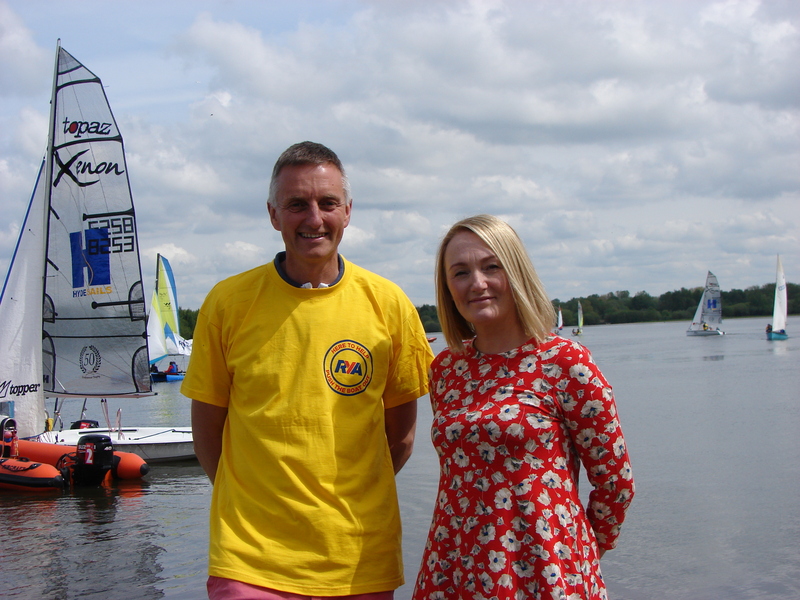 Jo Platt, MP for Leigh, came along to Pennington Flash to check out the RYA Try Sailing day (Push the Boat Out). She arrived to see bright sunshine and the lake full of boats and activity with many of our members and visitors out on the water. She stayed for a cup of tea and a chat, discussing the philosophy of getting youngsters and adults outdoors and active, an aim clearly in line with the club’s activities. Sailing provides a great opportunity to leave the phone, email and social media behind and relax amongst friends, being competitive and racing if you like or just going out to learn how to do a new activity and potter around. It was clear that Jo is serious about tackling mental health issues and the part that sport and outdoor life can play in this. Many thanks for coming along Jo, see you next year on the water!